The fantasy-thriller arrives in theaters on June 9, 2017. Tom Cruise is taking the reins as lead of Universal’s “The Mummy” reboot. The first official trailer was released this Sunday, and introduced viewers to a new world full of gods and monsters. 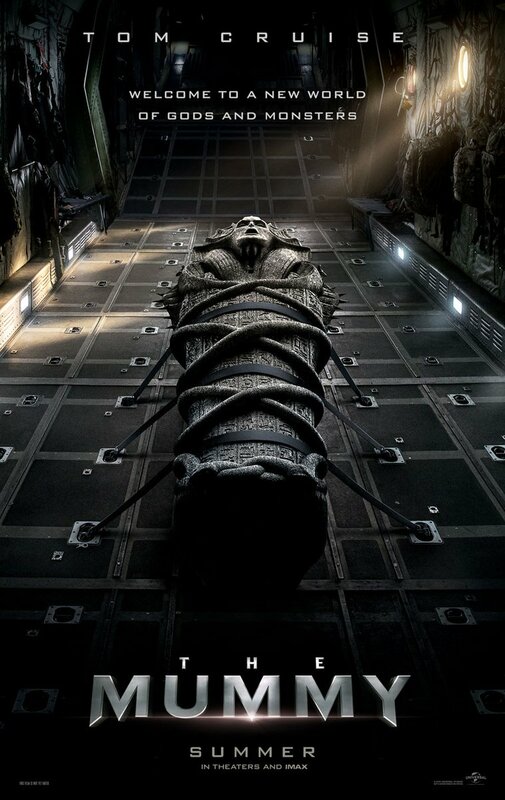 A previous 15-second teaser, shared days before the full trailer showed quick cuts of a mummy being removed from an underground crypt, unleashing a multi-irised female monster. The trailer features the same scenes with added action sequences and more of Cruise’s wild stunts. Set in the present day, “The Mummy” is directed by Alex Kurtzman and written by Christopher McQuarrie and Jon Spaihts. The action film will center around an ancient princess who is awakened from her crypt beneath the desert, bringing with her malevolence grown over millennia, and terrors that defy human comprehension. Russell Crowe, Courtney B. Vance, Sofia Boutella, Annabelle Wallis and Jake Johnson co-star. This new reboot is designed to be the first feature in a Universal Monsters cinematic world that will also include standalone Wolf Man, Van Helsing, Creature from the Black Lagoon, Bride of Frankenstein and Invisible Man films over the next several years.